TellTale goes from strength to strength by mixing the crafting classic with its own unique story-telling gameplay. 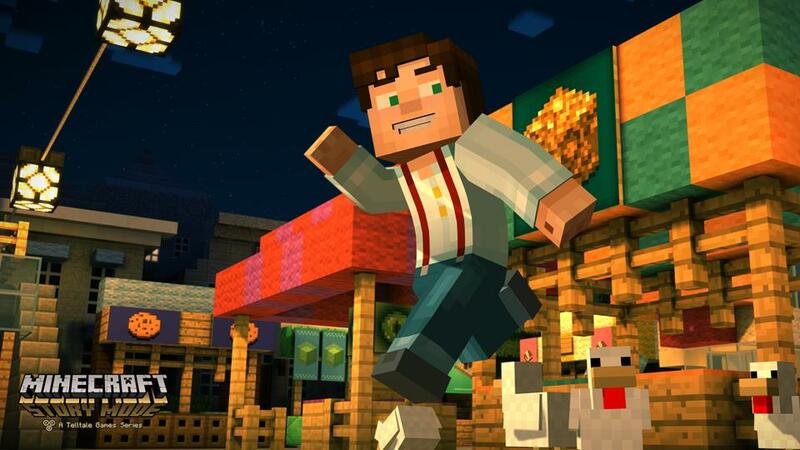 When Telltale Games and Mojang announced their collaboration on Minecraft: Story Mode, the reaction online was mixed to say the least. From the comments on VG247’s news about the announcement through to Twitter and gaming community hotspots like NeoGAF, the reaction seemed to run the gamut from outright vitriolic to confused and questioning – with a few die-hard optimists mixed in for good measure. I personally was in the questioning camp – I couldn’t understand why Telltale and Mojang had signed this deal (one penned before Microsoft entered the picture by purchasing Mojang) other than the sheer base popularity of Minecraft as a franchise. Thanks to that Telltale’s Story Mode was almost certain to sell well from conception based on name alone, but after experiencing the first episode I’ve come away surprised and pleased: Telltale has managed to apply its charm to the Minecraft universe in a brilliant way. As I played through Story Mode’s first episode in its entirety, it really began to become clear that Telltale’s aim is to stir up memories of your own personal Minecraft lore as you play. Minecraft has really always been about creating your own story, especially in multiplayer settings. While something like Telltale’s Game of Thrones series aims to play on fannish adoration of the show or the books, Story Mode trades on your knowledge of the systems and thin story lore that power vanilla Minecraft – and it all ends up rather effective. The game opens with the tale of a legend of four heroes who bought balance to the world. In a typical ‘legends of old’ style it recounts their achievements – but most Minecraft players will quickly realize the accomplishments of these four characters are essentially those players are tasked with to ‘complete’ Minecraft by travelling to The End and defeating the giant dragon that lurks within. Each of the four represents a key ‘pillar’ of Minecraft play – there’s an armour-clad Warrior type, a Redstone-loving Engineer, a TNT-wielding griefer, and a leader to bring them together. It’s clear this world’s origin story is built to match up to the experience of the real-world Minecraft player. By the time the game flings you into the boots of much more modest characters long after the victories described in the opening, it becomes clear that Story Mode has utterly embraced and immersed itself in what Minecraft lore there is. Within moments I’m opening chests and filling my inventory with familiar items that might come in handy later – the first I find is Flint and Steel, always useful. For me, the true genius of Telltale’s slavish dedication to the original game really struck home when partway through this episode it became clear that one antagonistic character intends to summon a Wither, a powerful boss in the main game. I have a history with Withers. I’ve maintained a server with friends that we hop on once in a while for a few years now – as good a way as any to unwind and catch up with mates – and at one point some idiot (you know who you are) decided it’d be a laugh to summon the creature using the same techniques now shown in Story Mode. It wrought massive havoc on our carefully constructed world and culminated in real-world texts flying to get together a crew to kill it before it could do any further damage and intense debates about who was responsible when we were next at the pub – that’s part of my personal Minecraft lore now. As such, the threat of Story Mode’s Wither (which ends up even more powerful still) is immediately apparent to me. Right away I’m invested, and as I see the recipe to create the beast presented in front of me, I’m a step ahead of the cast of the game. ‘He’s making a Wither,’ the experienced Minecraft player in me screeches, and thus it all feels very much part of the Minecraft experience I know. That’s the thing about Story Mode: it’s utterly soaked in those small aspects of Minecraft lore. One puzzle sees you having to create a block of slime in order to bounce up to an otherwise unreachable ledge, which involves gathering the exact amount of slime balls needed as per the base game before smushing them together on a crafting table. Another puzzle sees the cast of the game desperately scrape together scant resources to get out of a bind, and finds players with precisely what they need to make either a fishing rod or a bow and a single arrow. This isn’t presented as a binary choice; instead the game drops you onto a crafting table (with recipes available for the less experienced) and lets you create the item yourself. That feels like Minecraft, but then in true Telltale fashion things will of course play out differently depending on what you create. Crafting becomes another way for the story to deviate beyond the choices familiar in this brand of Adventure game. As a result of this approach, Story Mode feels utterly legitimate to the Minecraft I already know. That’s an achievement on the part of Telltale, and one that hasn’t necessarily come easily – after the demo I’m told that the game is a mash-up in the truest sense, with the development team building lots of their world in Minecraft proper before porting it out to their own development tools – and it really ends up working. Small touches sell the world, such as how characters obviously have more points of articulation on their models but also quickly shift from more fluid animation needed to tell a story into the stilted ones Minecraft fans will be familiar with. At one point a character turns around in a dramatic flourish, arms raised… but then jogs away in the typical robotic straight-armed Minecraft run. It’s silly, but it looks both good and authentic. It works. No amount of adjusting and tweaking is going to make blocky Minecraft characters as expressive as those in Telltale’s other titles, but that’s remedied with smart direction that in the best possible sense reminds me somewhat of the LEGO Movie. Dynamic camera angles and cuts do make this feel more like an animated movie than a game at times, while a solid cast list including male and female voice and appearance options for the lead tie up the package nicely. 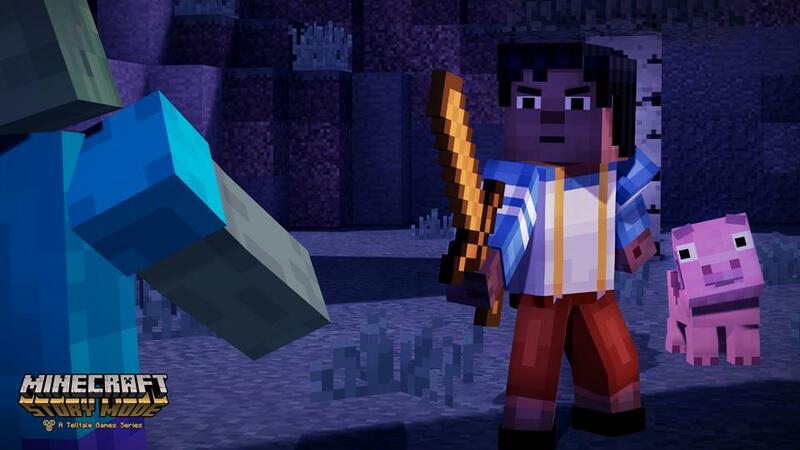 Story Mode turns the world of Minecraft into one it’s easy to get invested in by cleverly making use of the collective knowledge of Minecraft’s millions of users. It works. 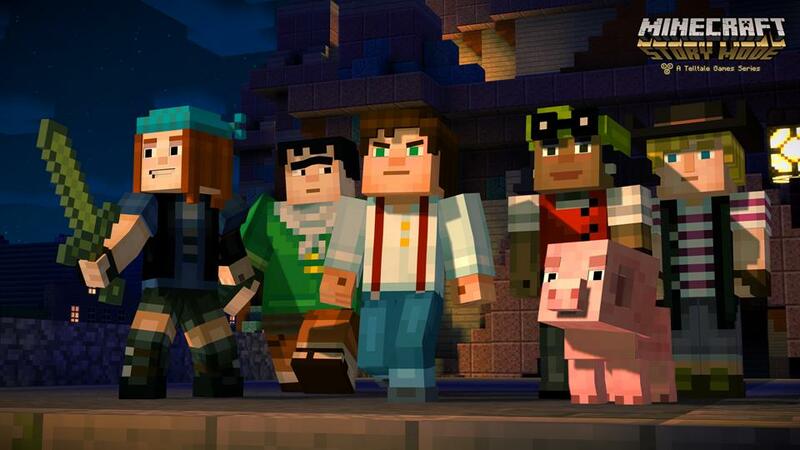 Beyond that, it’s still a Telltale game – well-written characters will still ‘remember that’, there’s intriguing set-up for some major character conflicts, and when a Minecraft city is flattened in the first episode, the depiction of the death and destruction has some surprising teeth to it for a game that is ostensibly for kids. 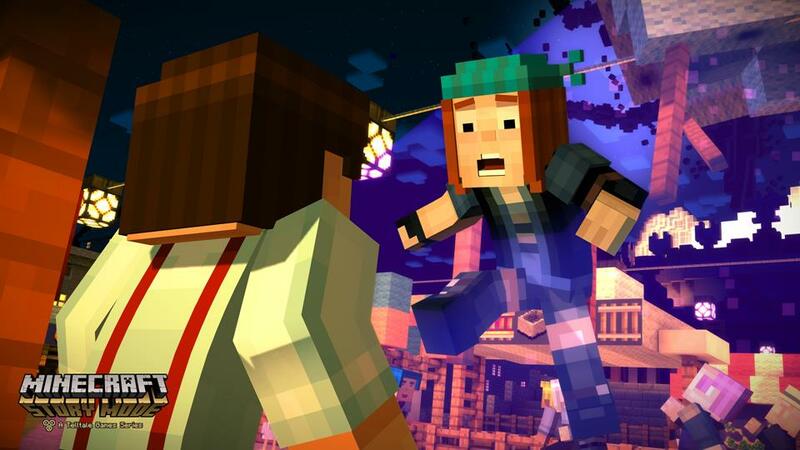 The underlying Telltale formula hasn’t changed much, but in drafting in simple crafting mechanics and world logic from the core Minecraft experience, Story Mode becomes more than the sum of its parts, at least in episode one. The best praise I can give is really that despite having a waning interest in Telltale lately (though I hear from Brenna that Tales from the Borderlands is excellent, I left my hands-on session eager to replay the first episode to see different outcomes, and more eager still to play the second. It’s clear Telltale still has it, and is at their best with a rich but open world to build in. Is there any richer sandbox than Minecraft?